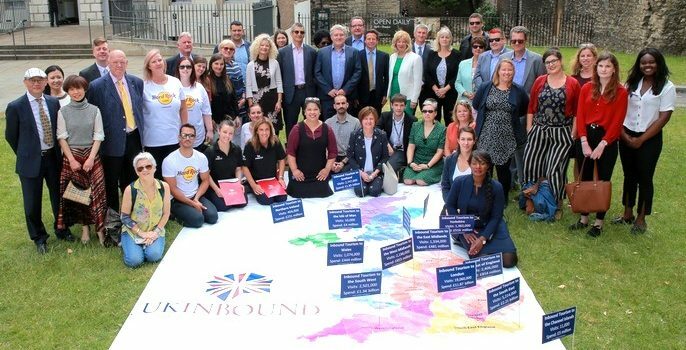 On 19 June, UKinbound launched a new campaign to raise awareness of the value of inbound tourism to the UK economy, demonstrate the urgent need to prioritise the industry in the Brexit negotiations, and press for clarification from Government about access arrangements for EU tourists and EU tourism workers post-Brexit. 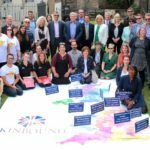 The campaign day started with a media photocall outside the Houses of Parliament and we were delighted to be supported by over 40 UKinbound members as well as Nigel Huddleston MP, Luke Pollard MP, and Sandy Martin MP. Several of our members then met with their MP to talk about the importance of tourism to their constituency, the type of support that their businesses needs from Government, and to ask for their support to ensure that post Brexit there are minimal or no barriers for EU tourists coming to the UK. Professor Mike Weed presented key findings of the report which highlighted the current lack of British nationals (now and in the near future) who have advanced modern language skills needed by industry. Tour operators in particular need employees who can communicate confidently and negotiate contracts with overseas clients and suppliers. Professor Weed explained that development of a home-grown talent pool remains slow, partly due to changes in language education policy in 2002. The requirement to study modern languages for GCSE was removed and as a result take-up of modern languages at A-level has dropped by a third. Other key findings included: the current lack of visibility of tourism and hospitality as career choices for those currently taking language degrees and the majority of tourism and hospitality programmes at undergraduate level and above were found to have very little focus on languages (currently only 9 out of 196 undergraduate programmes offer a language as a core module). We were however, heartened by the response from Tourism Minister Michael Ellis who stated that Government recognises the need for more skilled workers, and that skills development is an integral part of the Industrial Strategy. The Minister also stated that language skills are vital for preparing pupils for a more global Britain, and he set out the Government’s ambitions for a 75% take-up of modern languages at GCSE by 2022, rising to 90% by 2025. The campaign will continue with a programme of activity over the Summer which will include further meetings with MPs and a letter campaign in the Autumn. This will ask Government to prioritise inbound tourism and a co-ordinated approach to language teaching in the UK to ensure that a skills gap does not detrimentally impact our ability to provide a world-class welcome to the 40 million visitors that come to the UK each year. Read more about our report Breaking the Language Barrier: Equipping our tourism workforce for the UK’s future and its key findings here.